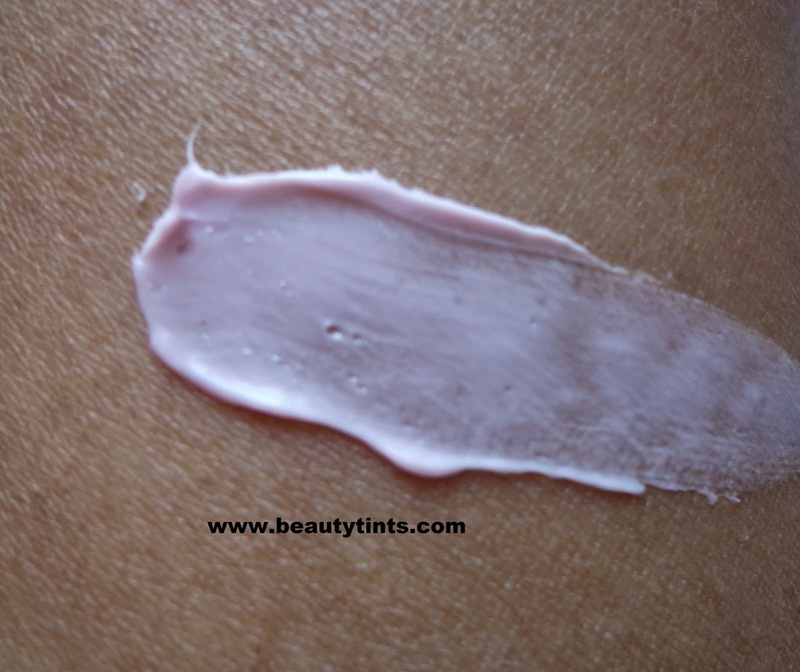 After a short break I am again starting the Sample Series - 5,where I will be reviewing the sample products which I received in the various beauty subscription boxes like My Envy Box, Beauty Wish Box,Fab Bag, MSM box etc.,These are only brief reviews which help you to get an idea regarding how the products work.Today I am reviewing The Nature's Co Passion Fruit Body Butter,which I received in February Edition Pure Seduction Beauty Wish Box. 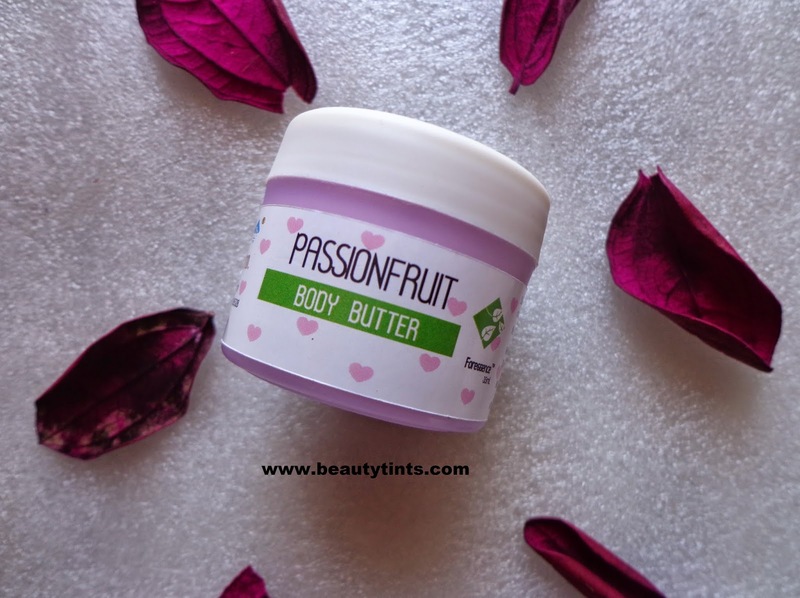 What the product Claims : Loaded with nutrients & Vitamins; Calms dry and scaly skin to firm and youthful texture; made from yummy fruits & vegetable butters and essential oils.Get melted with the refreshing Passionfruit Body Butter loaded with bundle of nutrients that are rich in Vitamin A & C. Its antioxidant properties will slow down the skin aging process giving you a firm and youthful skin. 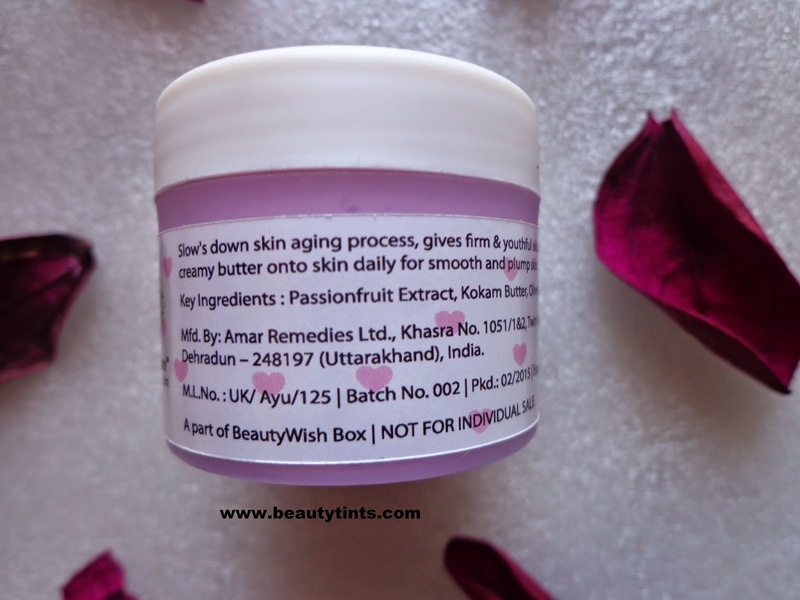 Its anti-inflammatory property will calm the irritating and swelling skin. 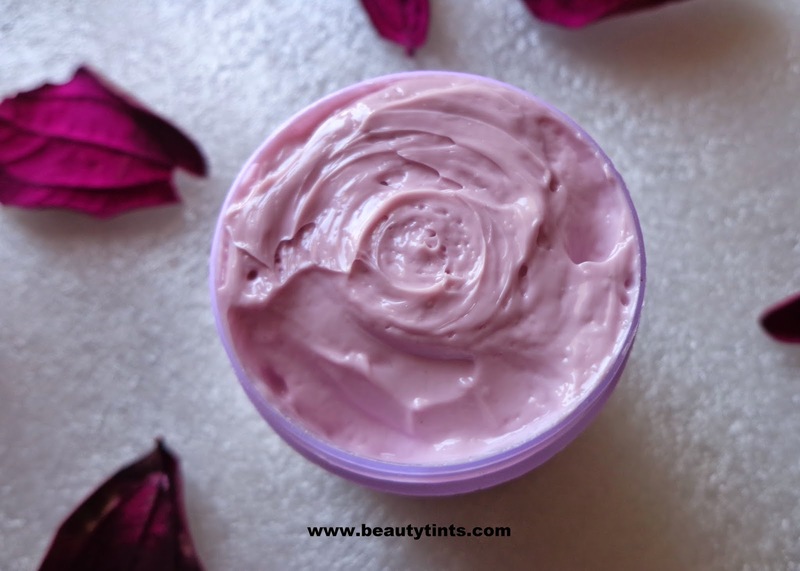 Apply this rich creamy butter onto skin daily for smooth and plump skin. Massage slowly, allowing your skin to absorb the nutrients. Enjoy the difference! 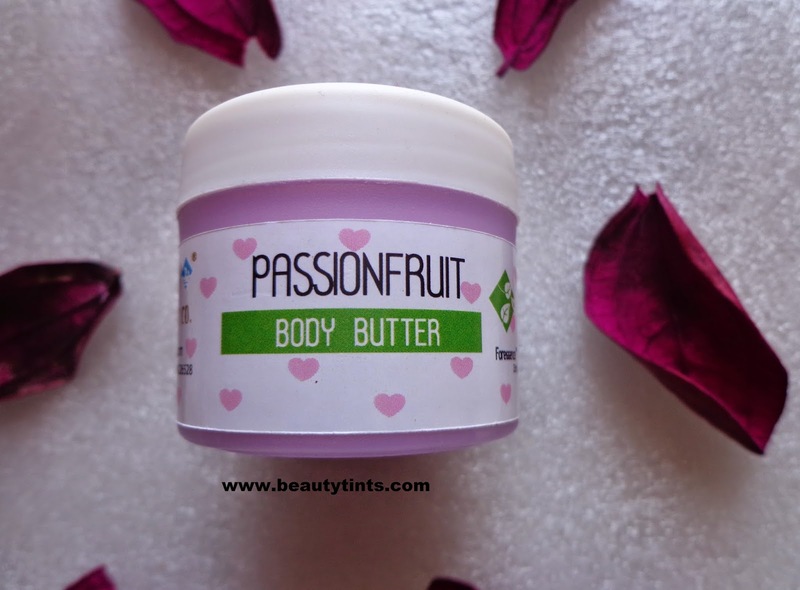 Ingredients : Passion fruit extract;Kokam Butter,Olive Oil. 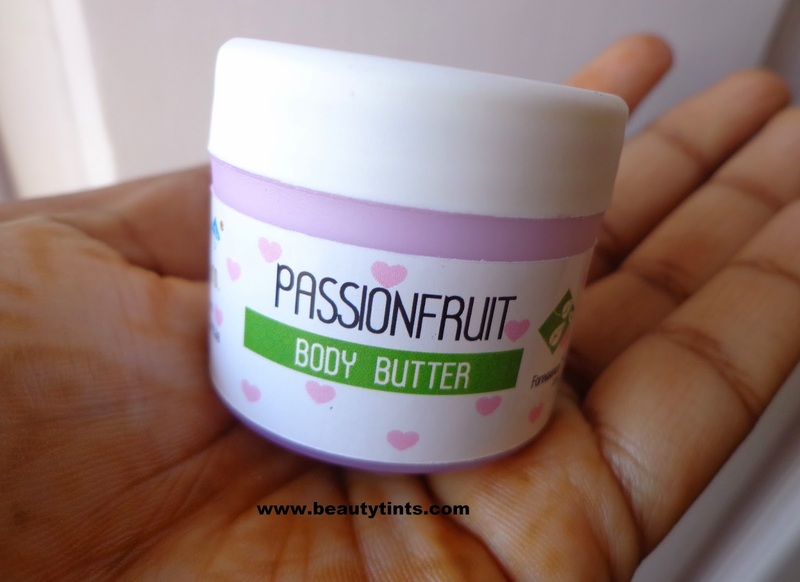 I have received this Passion Fruit Body Butter in the February beauty Wish Box.I loved each and every bit of it.It has a wonderful sweet fruity fragrance which stays on the skin for good 2-3 hrs.It gets absorbed completely into the skin very easily and hydrates the skin for more than 7 hours.It does not feel heavy or sticky on the skin and can be used through out the year especially for those who suffer from dry skin.It contains the goodness of passion fruit,olive oil and kokum butter.It is a bit pricey but a little goes a long way as well as it has a good shelf life period which makes it reasonable.It is all natural and is free from parabens and other harmful ingredients.It is against animal testing and is a complete vegan product certified by PETA!!! 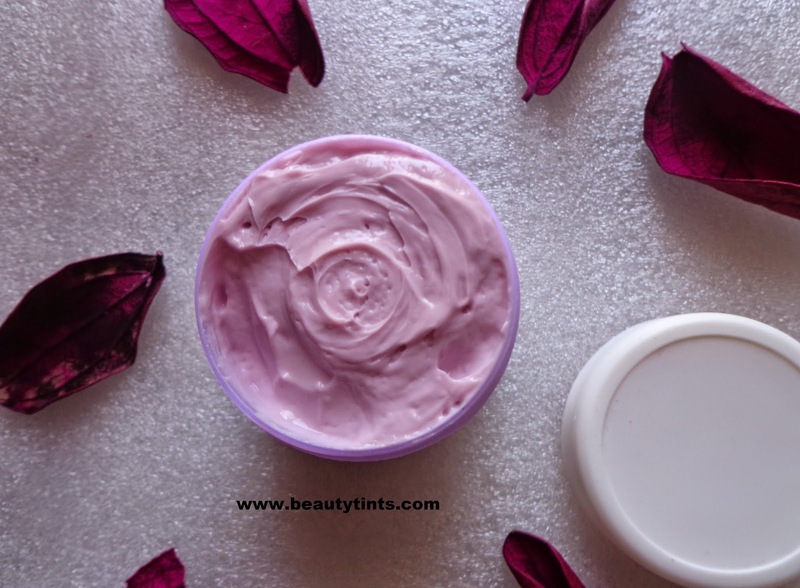 Conclusion : Those who are looking for an organic as well as good hydrating body butter should definitely try this!! !